Alex Rodriguez may not be the "coolest" person these days, as the MLB heats up their investigation. Osi Umenyiora, [New York Giants/Defensive End]: So, apparently the New York “Football” Giants were entertaining offers from various teams around the league in regards to acquiring their defensive end, but eventually stopped their madness and literally stated, “Nope, you can’t have our guy.” Hmm…why doesn’t this make sense? Seriously, I thought the G-Men wanted to use Umenyiora as trade bait? Also, didn’t they lower the asking price from a first-round pick to a second-round pick? All in all, the talented, but also injury prone defensive end is a vital part of Tom Coughlin’s defense, yet now that he’s disgruntled, who knows what will happen. Perhaps the Giants will offer him a new contract? Alex Rodriguez [New York Yankees/Third Base]: Apparently the MLB is currently investigating A-Rod’s underground gambling addiction, as well as a poker game that got out of control. If the real truth is revealed, then it’s most likely that the Yankees will lose Mr. Hollywood for the rest of the season. However, I’m sure many Bostonians and New Englanders wouldn’t mind, right? In Boston, Rodriguez is considered a schmuck, so I’m sure many Red Sox fans will sleep happily, especially if he did indeed get into some sort of altercation. Although, what exactly happened to Pete Rose? Denver Broncos Quarterback Controversy: This might not be the biggest piece of news, but seriously, if you’re Broncos head coach John Fox, do you start Kyle Orton or Tim Tebow? Well, I’d say it’s a given that you’d go with the experience, right? Seriously, why wouldn’t you start Orton? Despite the fact that he was on the trading block to begin the NFL off-season, he’s at least got experience under his belt. I’m sure Tebow will be a fine quarterback in this league, but really, do you want your quarterback of the future to get dinged up? Orton is a few years away from calling it quits, plus is the best option for a team that lacks a great deal of experience or success, so, my guess… stick with Orton, John, you’ll be happy. 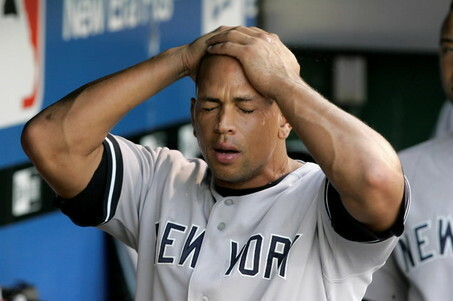 Well even though I am a Red Sox fan I have to say about Alex Rodriguez’s addiction. What’s wrong with that ?? as long as he does his job, and I might add he does it pretty damn well, what’s up with everyone meddling in his personal life, if he has the money to gamble, let him gamble. So Sox for the series against the Yankess for this weekend ! I think that was a ridiculous comment. How can you say its no big deal if A-Rod is involved in underground gambling, especially when it isn’t his first encounter? If it is the league policy then it is his responsibility to abide by those rules. A high stakes game of poker now can lead to betting on games in the future, and we all know what that did for Pete Rose. Gambling in sports is a serious issue and the league’s best course of action is to put a stop to things before they even happen, especially with everything that happened in the NBA a few years back.